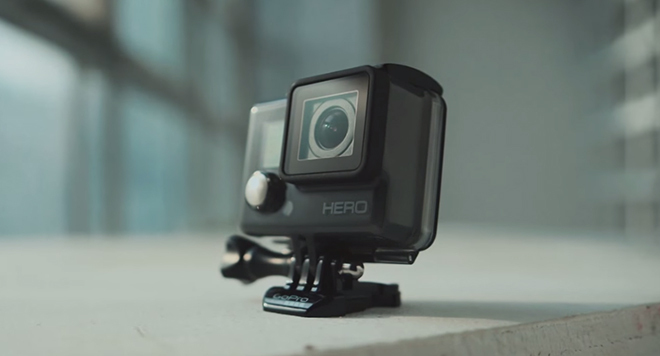 The soon to be revealed GoPro Hero4 got treated to a video review before its official debut. The clip arrived courtesy of the Russian media outlet Rozetked. The video walkthrough showcases the upcoming budget camera in a dark color scheme. It reveals that the Hero4 is integrated into its casing. The latter’s back cover flaps open to give access to the microSD card slot and the microUSB port of the snapper. GoPro Hero4 lacks extras such as Wi-Fi and HDMI port. However, it more than makes up for them with its price. The latter is tipped to be below $200. GoPro Hero4 is all but certain to debut alongside its recently leaked high-end siblings on October 8. Curiously, HTC is also bound to release an action camera on the same date.